In the wake of the devastating Christchurch shootings, Jacinda Ardern has provided a leadership example of courage, unity and compassion. Following the March 15 attack, Prime Minister Ardern stood resolute behind a lectern and looked into a crowded room of cameras and reporters. She calmly, but firmly, delivered the facts of what had transpired. Dozens had been killed and injured in a targeted massacre on two mosques near the city centre. “These are people who I would describe as having extremist views that have absolutely no place in New Zealand, and in fact have no place in the world,” she said. Less than 24 hours later, the death toll had risen to 49, and she did not miss a beat meeting those who had been affected by the tragedy. Wearing a black headscarf as a sign of respect, she spoke to the hundreds of members of the local Muslim community at Canterbury Refugee Centre and Hagley College. "The prime minister, when she came wearing her scarf, that was big for us," Dalia Mohamed, who was mourning Hussein Mustafa, the father-in-law of her daughter and a volunteer at the Al Noor mosque, told SBS. “She was engaged, she was concerned, she knew what to say. She is the Prime Minister of New Zealand, but they felt she was there with them and that nobody else mattered,” Sarah Ahmed, a local who was present at the college, told The Sydney Morning Herald. Ardern also vowed to tighten New Zealand's gun laws, making it a priority for her government. "I can tell you one thing right now: our gun laws will change," she said. "There have been attempts to change our laws in 2005, 2012 and after an inquiry in 2017. Now is the time for change." "Ms Ardern's performance has been extraordinary - and I believe she will be strongly lauded for it both domestically and internationally," political commentator Bryce Edwards of Victoria University in Wellington. said. 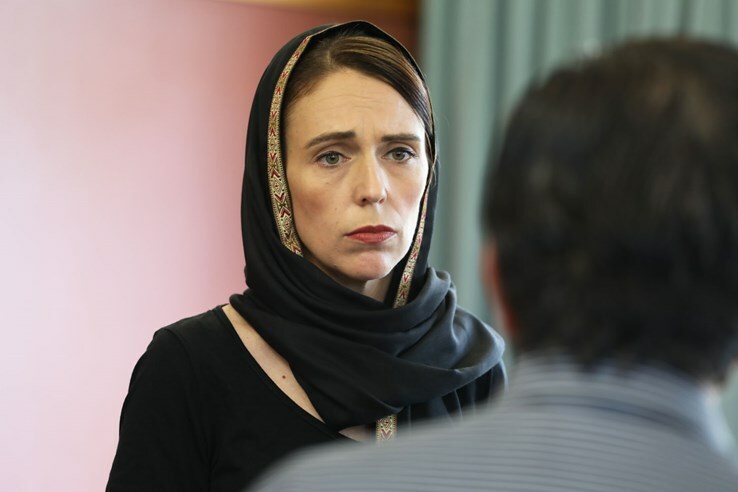 It was also Ms Ardern's response to the attack that sparked praise, saying the attack had not happened because New Zealand was a safe harbour for hate, or racism or extremism. "We were chosen for the very fact that we are none of those things," she said in a national address during which her voice cracked with emotion at times. Because we represent diversity, kindness, compassion. A home for those who share our values. Refuge for those who need it. And those values will not and cannot be shaken by this attack," she said.